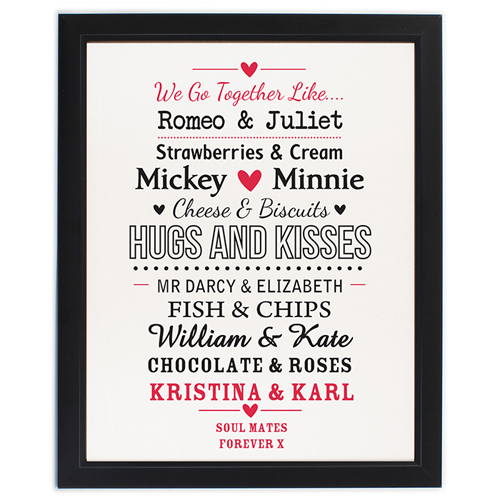 Personalise this Couples Black Poster Frame with two names of up to 25 characters and a message over two lines of 25 characters each. All personalisation will be produced capitalised as pictured and the text design will be fixed text on this item. Personalise with two names of up to 25 characters and a message over two lines of 25 characters each.